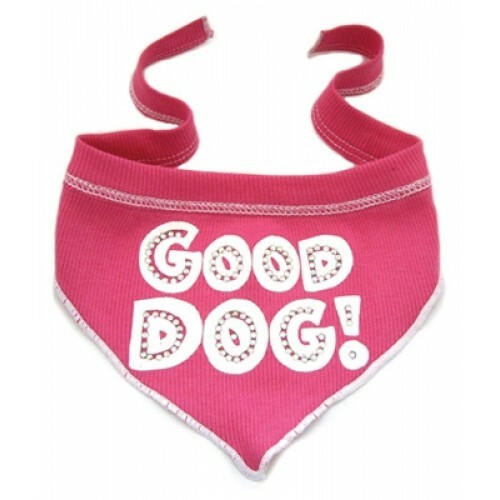 Good Dog Scarf - Flamingo - perfect for your precious pooch & Made in the USA! Show off your Good Dog with this scarf made of super soft cotton with a hint of lycra. Rhinestones add extra bling! Made in the U.S.A.